I know most photographers are now convinced that they can pound down coffee by the liter, run up the stairs and still handhold their image stabilized cameras steadier than a tripod while taking photographs that are needle sharp with exposures as long as 90 seconds. I am not one of those photographers. I think I'm pretty good with my handholding technique but I know my images can always be a little sharper and better composed when my mortal hands have a bit more assist than is provided by a jiggling sensor or a wobbly lens element. Since I know for a fact that tripods and other supports make for sharper, better images I own a bunch of them. Just like cameras we always seem to be in search of the holy grail of support mechanisms. We were heading out to do some video last week with the Olympus OMD EM5.2 cameras and our intention was to do most of the work handheld. I couldn't help it though. I tossed two monopods and a tripod into the cargo area of the car. Just in case. 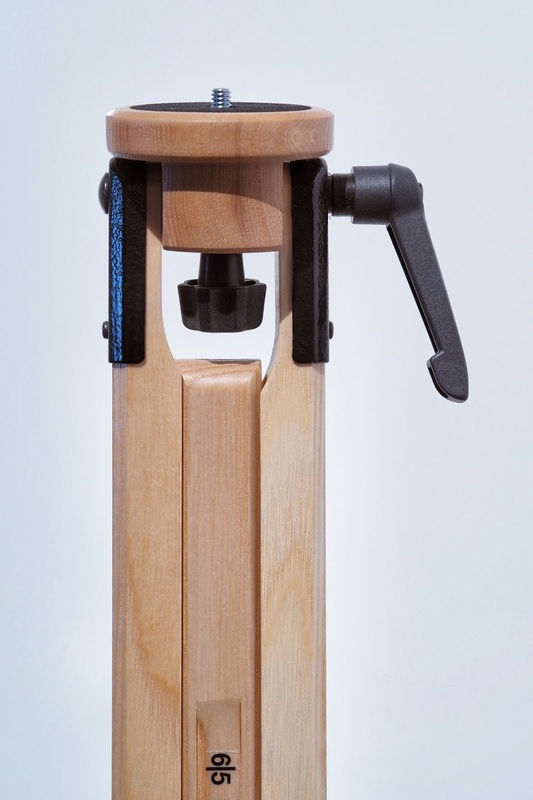 What I wanted, but didn't know existed, was a wooden monopod with an integral tilting head. The day after we wrapped our shoot mine came from Adorama via UPS. Ah well, opportunity for immediate use thwarted but I'm still just as excited about the new toy. I like monopods when used in conjunction with the image stabilized cameras. I'm not trying to use them at insane shutter speeds but in video, if you are lingering on a shot, it's hard to stay stable for more than five or ten seconds. 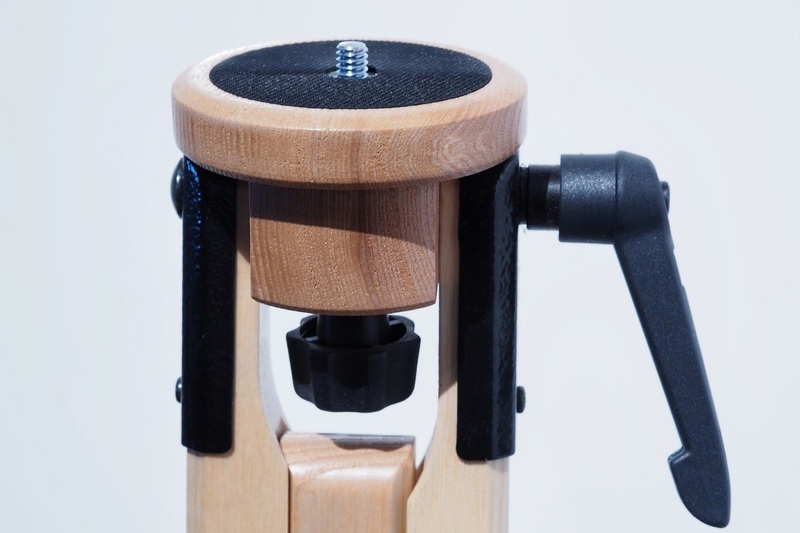 The monopod adds just enough stability to tighten up the shot. So it's two days before our shoot and I come across this on the Adorama website and the Amazon website and the Adorama site has it for $99 while Amazon is showing $149. Both offer free shipping. I push the button though I am almost certain it won't come in time. When it finally showed up on Friday I pulled it out of the boxes and was immediately smitten. Even more so because it's the first monopod I've owned that doesn't resemble a tactical anti-personnel baton. It looks like something carpenter-y. It looks vaguely technical but vaguely industrial---in a craft way. How does it work? Beautifully. I spent some time walking around with it today, using it to stabilize a Nikon D810 and the big, fat Sigma 50mm. The head handled the weight perfectly. 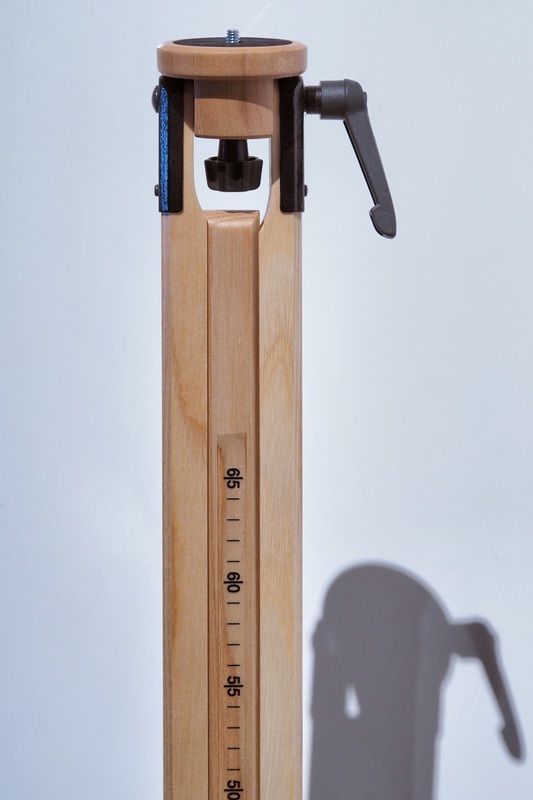 The tripod is exactly as tall as I am. It feels good in my hand. It has two sections which means it's not going to fold down all tiny for airport carry-on logistics. It's more a "back of the car near the old plaid blanket and the fix-a-flat can" sort of unit. My intended use? A nice little OMD EM5.2 festooned with the impressive and awe inspiring 60mm f1.5 Pen FT lens on top of that little, wooden head with the handle left a little loose. Just enough tension on it to have some feel but not enough to impede a little forward tilt. Running video in 15 to 30 second chunks in situations where a tripod would be cumbersome or dangerous. But now that I've played with it I'll confess that it's addictive and I am already planning to use it extensively for corporate shows where I want to use really cool lenses but have hesitated in the past because I needed just a little bit more stability but didn't want to bring the two extra legs along. Once you've tried wood you might not want to go back to conventional tripods. I think I'll specify this white ash wood on the dashboard of my next Bentley. It should be just the right touch with my off-white leather seats. And yes, I've already checked, it will fit in the "boot." Dare I say, "Simple and elegant." ?